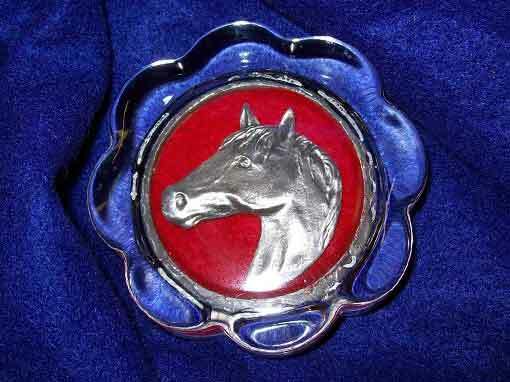 is a family-owned & operated manufacturer of fine pewter items. We have two locations in Virginia, our workshop in Chesterfield County & our showroom in Williamsburg, VA. All of our pewter items are handcrafted one at a time by skilled craftsmen and artisans. The company was founded in 1994 by John and Dorothy Mauro, with the expressed purpose of providing a stable employment opportunity for their handicapped son Christopher. After 8 months John died leaving the business in the capable hands of his wife Dorothy. In subsequent years daughters, Janet Moe & Andrea Hicks joined the company. Andrea later died leaving Dorothy, Janet & Christopher to handle the day to day business. Besides family employees, the company hires handicapped workers. In July of 2003 Virginia Pewtersmith was honored by the Commonwealth of Virginia with the highest award for businesses that promote employment for the handicapped citizens, and was named a “Disability Friendly Business”. In April 2007, the Midlothian Exchange, a local Chesterfield paper did a feature article on Dorothy Mauro, an octogenarian business owner. In July 2008 The Richmond Times Dispatch did a story on small family owned businesses and spotlighted the Virginia Pewtersmith. In January 2013 Dorothy Mauro passed away leaving Janet & Christopher her legacy and company. Together with other family members, the next generation is keeping up her tradition of local, talented artisans producing fine pewter items. In 2017, following the passing of her husband, Henry, Janet decided that it was time to retire. Now the VanderWerff family is continuing the tradition and is keeping the art of pewter making alive. 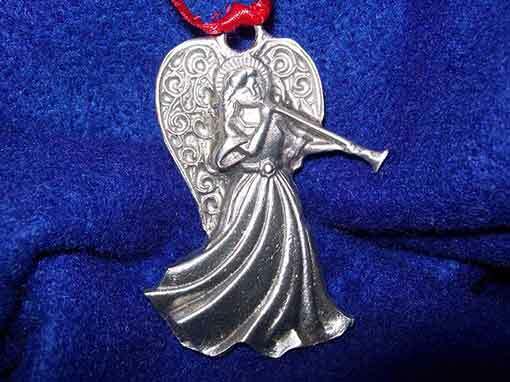 Besides producing key rings, Christmas ornaments, chess sets, and pewter decorated glassware, Virginia Pewtersmith specializes in custom designed pieces. Many of these items are custom ordered by local churches & schools to be used for fundraising events. Virginia Pewtersmith prides itself on its high level of customer service & satisfaction. Visit our new shop in Williamsburg, Virginia. Looking for the perfect gift or souvenir to remember your "historic" vacation? The new Virginia Pewtersmith retail shop is located at 6592 Richmond Road, Williamsburg, Virginia. 23188. Our new shop provides you with an opportunity to browse unique pewter gifts. Come in and see for yourself what our history of craftsmanship looks like. All of our gifts are made in our workshop located in Richmond, Virginia. You can stay up to date and see our new pewter creations by following us on Facebook. Please contact our family if you have any questions.